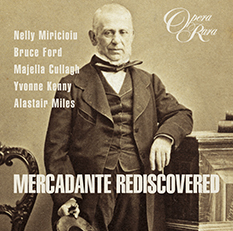 Born in 1795, Mercadante studied in Naples, attracting the attention of Rossini. 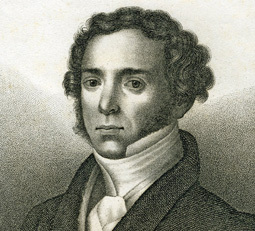 His first opera, L’apoteosi d’Ercole, was well received in 1819 at the Teatro San Carlo. Others quickly followed. 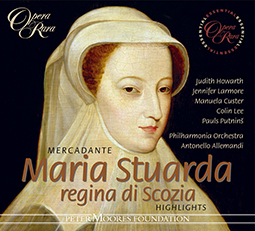 His first notable hit was Elisa e Claudio (1821) in Milan, the success of which took him to Vienna where he failed to make his musical mark. He found renewed success in Venice with Caritea, regina di Spagna (1826). 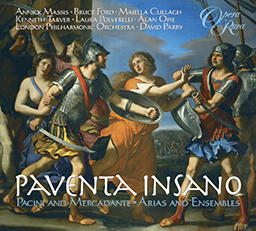 There then followed a period during which Mercadante worked in Madrid, Lisbon and Cadiz, producing a number of operas, before returning to Italy in 1831. Four years later he was invited to Paris by Rossini to write an opera for the Theatre Italien. He responded with I briganti (1836). 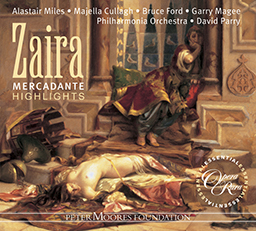 The opera flopped but Mercadante benefited from contact with the French capital’s thriving musical scene, whose social interaction is reflected in his Les Soirees Italiennes (available on Opera Rara ORR206). 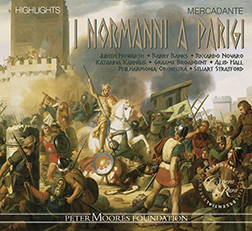 Meyerbeer’s Les Huguenots encouraged him in his next and most famous work, Il giuramento, a triumph in Milan in 1837 and the first of a clutch of works that ensured continued public esteem. Further successes followed. 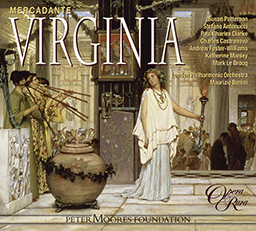 Becoming director of the Naples Conservatory in 1840 – a post for which Donizetti had at first been considered – he continued to compose busily, moving from romantic to neo-classical subjects. 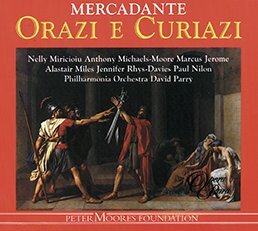 Later operas include 1846’s Orazi e Curiazi (available on Opera Rara ORC12), based on Corneille’s play Les Horaces. 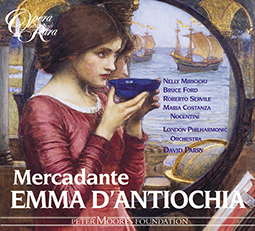 Having begun in the heyday of Rossini, Mercadante’s career extended well into the middle of Verdi’s. In fact, he was slightly embittered at being eclipsed by Verdi, on whom his music had some influence. He died in 1870, having put his name to close on sixty operas.